Here's some good news if you own a PlayStation 4 and were thinking of picking up LEGO Dimensions next month. 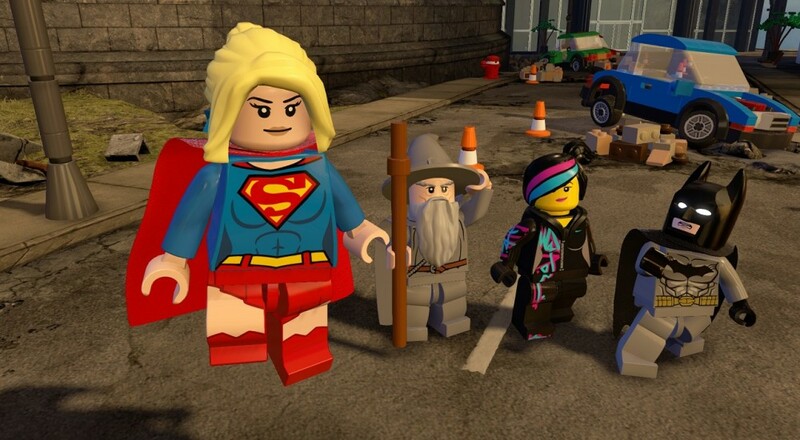 If you buy the Starter Pack, which includes the portal, Batman, Gandalf, Wyldstyle, the Batmobile, and the game itself, you'll get an exclusive Supergirl figure to use in the game. For everyone else, you're out of luck. The new figure will not only be able to use the same powers as her cousin, which includes laser beams, flight, and super strength, she'll also be able to tap into the powers of the Red Lantern ring. With the ring she'll be able to fire red bolts and lasers as well as use "Lantern Constructs." It's not clear what that means in-game, but I'm sure there will be some doors/switches/other devices that will require that ability in order to get some hidden item. The new Supergirl mini-figure will only be available in PlayStation 4 Starter Packs, beginning in September (so don't go out and buy one now if you want to get her). If you already own the game on PlayStation 4, you'll be able to use Supergirl via the "Hire-a-Hero" system where you can temporarily use a character by spending a quantity of collected studs. Page created in 0.5994 seconds.